Because I’m definitely not doing any. It’s Friday night, quickly approaching Saturday morning, and while the wheels on my car are stationary because I can’t afford to date tonight, the wheels in my head are definitely turning. Up until August, I was single and happy. I was dating, but it was mostly casual. In August, right before starting NMHD, I decided that maybe, just maybe, I was ready to start taking dating more seriously again. Unfortunately, I was really struggling to find quality girls to date. Perhaps it was the recruiting pool? I was meeting girls at places like The Ranch and Roial. So I hit up the free dating website, OKCupid. In my mind, dating doesn’t get much more efficient than knowing what a girl looks like, her hobbies, her education, and other information about her background than being able to know it all in the press of a keystroke. Too often, first dates with girls I’ve met at bars lead to unpleasant surprises ranging from, “I never work out and I’m hoping I’ll look like this my entire life,” to “I’m a stripper.” I found on OKC that it’s possible to screen for these kinds of things more effectively than at the bar, as girls are pretty upfront about it on a dating service. Well, as true as that may be, in going from the bars to OKC, things actually went from okay to bad. To put it bluntly, once a couple of key critieria were screened for, it turned out that OKC was pretty dry. I switched over to eHarmony, but it was right around this time that I decided to start paying off my debt. Without funds, dating became a non-starter. This (Friday) evening, I was at the office till 7:30, catching up on some work after a long week of training and trial by fire, and I got a call on my personal cell from Lindsay, a girl who works in Marketing. She’s beautiful. I still remember when I saw her for the first time two years ago when she walked into a meeting. I couldn’t take my eyes off of her. I eventually got to know her, and she turned out to be more than just a pretty face. She’s also super smart. And witty. In short, she’s awesome. But we’re just workplace friends. We once got drinks together, but she works where I work, and that’s a boundary I’ve never crossed before. Interestingly enough, before NMHD, before my funds dried up, I was seriously considering trying to restart things with her, and risking the workplace weirdness for a potential long-term connection. Anyway, Lindsay called me out of the blue while I was at work–we haven’t talked on the phone since the night we got drinks a year and a half ago–and she very casually invited me out to dinner. It was completely bizarre and unexpected and I did a double-triple-quadruple-take. I wanted to go. I really, really wanted to go. But I declined. It was embarrassing as hell, but I had to explain that I couldn’t afford dinner. I had already told her about my blog last week, but I felt so much more vulnerable this evening than I did last week. Lindsay didn’t volunteer to pay. I’m actually glad she didn’t because that would have been awkward as hell. I didn’t want to decline, but I knew going into this that there would be sacrifices I would have to make. Lindsay and I ended up chatting for an hour, and then she told me she was going to pick up dinner for herself and rent a movie. We texted on and off for the rest of the evening, and she told me to save my money for bagels and coffee on Sunday. I’ll probably spring for that. It’s an interesting situation, and it begs the question: how am I going to survive the next nine months without dating? I’ve already ended one relationship because of this mission, and I’ve gone out with my buddies a couple of times and gotten some numbers, but where’s that going to go? “Hey, want to cook dinner together at my place?” Yeah, like some random girl I meet out at a bar is going to go to my place for dinner. Nope. I’ve been scrapping the phone numbers the next morning. The thing is, I know this is a marathon. This is 26.2 miles up the side of an extremely steep mountain. If any part of this is a sprint, it was September, with a pay-off just shy of $31k, a 33% dent in my goal. October? October sees me paying off only $3,400 max, and similar amounts in November through April until I limp into bonus season. There are no more $30k months like September. The starter block advantage and the early-race adrenaline are wearing off. I’ve run a marathon, so I can relate to this metaphor. It’s time to hunker down and settle in for the long haul. Back in November of 2010, I got my license suspended for three months (Nov-Jan) for accumulating four moving violations in six months (speeding, unsafe lane change, failure to yield right of way, no motorcycle operator’s license). Leading up to this suspension, I used to lift weights and run five days a week. I was in good shape. I’m not an intentional law-breaker, so when I got my license suspended, I had to ride a bicycle to work every day, a seven-mile round trip. The suspension took place at a time when dusk arrived before 6 PM, and to get to work, I had to bike on the 55 mph two-lane, zero-bike-path frontage road of I-35, a very busy interstate highway that runs through Austin. Since my gym was not on the way home, going there meant incremental biking in the dark on the dangerous frontage road. So for the sake of my life, the seven miles of bicycling from home to work to home became my sole work-out for three months. During this time, I was dating Kellie, a girl whom I thought I was going to marry. We had been together since January 2010, I was in love with her, and I thought she was the one. She lived in south Austin, so her driving me to work wasn’t an option. She broke up with me in January 2011, two weeks before I got my license back. I’m not really sure why it ended, but I stopped trying to piece it together months ago. The night after we broke up, I was on Facebook and I saw my friend’s status update about his plans to run the Austin Marathon on February 20 2011, roughly a month away. In the back of my mind, I’d been tossing around the idea of doing a marathon, and I didn’t even know that Austin had one. I was intrigued. I hadn’t done an actual work-out longer than 15 minutes in about three months (each ride to work was 12-15 minutes long), the furthest I had ever run in my life was 13 miles and that was four years ago, and the marathon was less than a month away. Despite all of that, I registered for the race that very night. At the time, I had no idea why I did it–absolutely no clue. Removed from the situation and looking back on it now, I think I figured, subconsciously, that there was no better way to reconnect with myself on the most basic level than to throw down a physical challenge and pursue it with minimal preparation. I went on four training runs before the marathon. The most miles I put in during one run was 17 miles, and I ran that directly after I ate Mexican food. The run was tragic. I had planned to go 21, but simply couldn’t do it. That was one week before the marathon. Fast forward to the next morning at the start line. I had gone into the race hoping to finish in less than four hours. I don’t even know where that goal came from, but it seemed like a reasonable one. Four hours is a 9:06 split, and at the start line, runners self-sorted themselves according to goal splits printed on various banners hanging over the starting area. Fast runners were in front, slower ones in the back. I found my 9:00 group in the massive sea of runners. I had also calculated the mile splits for 3:45 (8:35) and 3:30 (8:00) finish times. I didn’t expect them to factor in, but as I’m proving once again, stretch goals can be motivational for me. The race conditions for the Austin Marathon were horrible: Strong headwinds, high humidity, and high temperatures. Far from ideal. I surged forward with the herd at the signal, but after a mile in, while I maintained the goal pace, those behind me got excited and jumped the pace, and I got passed by a lot of people of both sexes and all sizes and ages. I felt uncomfortable being passed by men twice my age who were clearly out of shape, but I stuck to my race plan. I’d say it was around mile 18 where things got painful and challenging. It was probably more mental than anything–up until that moment, I had never run further than that 17 miles in my entire life. Going into mile 18, I became filled with self-doubt. I didn’t know if I could run any further. I dug deep, and self-preservation mode took over. To help me cope, my memory presented flashbacks to the last time I had felt this kind of pain, years 2001 to 2005, during regattas in college, rowing on the Michigan crew team. My freshman coach had drilled within my teammates’ heads and mine that our bodies can endure so much more pain than we give them credit for. When we mentally tell ourselves that we cannot go further because of the pain, we can actually go much, much further, physiologically-speaking. Coming into the last 750 meters of a 2,000-meter race, when lactic acid was flooding my quads, the body was working overtime to flush it out, the pain was white-hot, and every ounce of gray matter in my skull was telling me to drop the oar and stop rowing, I had to fight those urges, and believe in myself–my body, not my brain–and take another stroke. I had to have faith in my body. And I had to put the oar in the water, and pull on the oar, and hang off the oar, and slam my legs down to the hull, and then I had to take the oar out of the water, go back up to the catch, drop the oar back into the water, and do it all over again, as hard as I possibly could, harder than the other guys in the other boats I was racing, until I finished the race. That coach who told us to ask more from our bodies is the same coach who helped the crew in our boat win second place at Nationals in 2002, beating elite times like Cal, Princeton, and Navy. Phil Jackson’s Sacred Hoops, Spiritual Lessons of a Hardwood Warrior was required reading for a leadership class at b-school at Michigan. I wanted to take the class during my senior year because I knew I was going to be a supervisor in a factory once I graduated, but it didn’t fit in my schedule, so the best I could do was get a copy of the syllabus which listed out all of the reading material. I read Sacred Hoops after graduating from Michigan, and noting all the positive references Jackson made to Zen Buddhim, the philosophy that he drew upon for his leadership style, I was inspired to learn more. I read Zen Mind, Beginner’s Mind by Shunryu Suzuki and An Introduction to Zen Buddhism by D. T. Suzuki before I launched my career. One page into Zen Mind and I was hooked on Zen as a philosophy. I want to share some powerful, powerful quotes that all came from the two short books above. This philosophy is what I think got me through the marathon and will get me through my NMHD mission. My Interpretation: It makes me exhausted and panicky to look out all the way to June, count the months between now and then, and know that I have to live like this for nine more months. It paralyzes me with inaction. I just have to focus on the now, on the present goal; I have to focus on not spending money today, and finding as much extra money as possible today. My Interpretation: If I enter a debt paydown mission being an “expert” and only an expert on my finances and the lifestyle I’ve been living up to this point, I’ll never recognize all of the possibilities in front of me. I’ve pulled apart my finances and analyzed them fully, I’ve reviewed my past year of $1,400 monthly entertainment spending, and even knowing where I’m coming from and being fully aware that I have a $5k+ delta to my goal, I’m still remaining “novice” with optimism that I can realize my vision. My interpretation: A ten-month $90k pay-down is a raging fire of effort and sacrifice. At the end of it, there will be nothing left–no savings, no energy, no fuel left in the tank. Zen would argue that that’s the only way to do it. It focuses you. My Interpretation: At the end of the day, I am me and they are them. I have to separate my thoughts and goals and motivations from their judgment and input. I decide what I spend, what I buy, what I save, and what I do with my free-time. 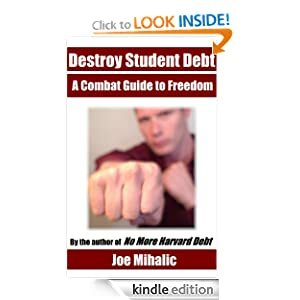 I decide if paying down my debt aggressively is too hard. I decide if I quit. My Interpretation: I like this quotation because it rallies so strongly against materialism, which could really hinder my ability to pay down my debt in time if I get caught up in it. My Interpretation: My life changed when I decided to pay down my debt. Gone were lavish nights out. Gone was my typical dating life. Gone were the trips. This was all replaced by working on side-jobs to find more money and loading a flask up in bathrooms, and being constantly out of my comfort zone. But everything changes, and change is not necessarily bad, nor is suffering. My Interpretation: This is perhaps deeper than I can ever fully appreciate, but I think this relates to debt pay-down in that it requires a complete submission of the soul. It requires giving up and just letting the debt owning me for a little while, until I can fully satiate it. As I plugged away at miles 18 through 26, as my legs became two heavy, solid cylinders of painful lactic acid, as I started drinking two cups of water at every water stop instead of one, my survival mode kicked in and presented me with two tools: my rowing experiences and my post-rowing Zen learning. I used the two tools to focus on putting one foot in front of the other. And I believed in my body. I refused to listen to my brain. I focused on the present. Every time I thought about having to run another six miles, or four miles, or one mile, I grimaced in pain and I thought about quitting. In order to finish the race, I had to focus on the present. I had to put one foot in front of the other. I had to be fully engaged in the now. Thinking ahead, taking myself out of the moment, was paralyzing. I had to take the moment seriously. I had to have a novice mind, and not consider the math and science and kinesiology that would have logically determined that I could not finish the race at all, let alone finish it in four hours. I had to burn myself completely, destroy myself in a fire of sheer willpower, completely exhaust every ounce of available energy in my body to finish the race. I had to be internal, and disregard the people at the beginning of the race who passed me, and not let them influence my race plan. And finally, I had to submit my soul to the challenge in front of me, and give in to it, and not have any grand ideas of what time I wanted to finish in. I just had to run. So I did, and in doing so, I passed many of the people who had passed me earlier, and I ended up finishing in 3:36 (8:15 split), 24 minutes sooner than I hoped to. I took 60th out of the 430 men in my division, ages 25-29, or 86th percentile; I took 441st out of 2,873 total men, or 85th percentile. A colleague of mine at work who runs ultra-marathons (50-100 mile races) pulled up my race performance online and he told me at work the next day that I ran the last 13 miles in the same exact time–to the minute–as the first 13 miles. According to him, that’s a solid race plan. And fairly unique. As other racers slowed to a stop at the end of the race and walked relatively casually to the water stop, I slowly limped over. My guess is that 99.9% of these guys had done more than four training runs prior to the marathon, so their bodies were equipped to flush great amounts of lactic acid out of their muscles in a very efficient manner. Mine was not. My legs were on fire. It hurt to touch them with my hands. I had to grit my teeth and mentally prepare myself just to step off curbs. I found a bench and sat down. It didn’t help the pain at all–sitting still was almost more painful than running. After some time, I went back to my car, parked two painful floors up in a parking garage. I slowly and gingerly changed into some shorts and a t-shirt, sprayed on some Axe, and then met a couple of my buddies at La Taverna for brunch. We killed multiple $1 mimosas, then went and smoked a hookah. Nothing says, “Thanks for all the hard work, lungs,” like smoking them out with some Double Apple-flavored tobacco. That week at work, the staircase up to my desk on the second floor presented a daily challenge to my sore muscles, and the heart palpitations I experienced multiple times a day all week long were uncomfortable. But I beat my goal and I survived. And the pain and palpitations were all secondary to the overwhelming sense of accomplishment I felt in doing something pretty crazy by myself, for myself, alone. As I make my way into the second week of the second month of then ten-month mission, I have to take the lessons I’ve learned from rowing, Zen Buddhism, and the marathon and apply them to my entire life. One stroke at a time. One step at a time. One financial decision at a time. One foot in front of the other, one dollar in front of the other. Be serious with the moment that exists right now. Be open-minded and realize that anything could happen. Be a raging fire. Be internal and remember that I decide how I feel. Avoid materialism. Embrace change. Give in and just do it. The course to financial freedom is completely uphill and attractive dates are few and far between. But my friends pounding on my door to get me out of the house are the water breaks that keep me hydrated to run another mile. What you may have here is a special opportunity, at a significant turning point in your life, to weed out women who aren’t what you’re looking for anyway. Consider this: What are you actually looking for in a partner? Are you looking for someone who cares that you have money? Firstly, it is clear that you are good at managing money. Financial responsibility and financial means are not the same thing, and the responsibility part is much, much more important if you’re looking at long term security. If you’re good at managing what you have, it means that you can survive the slings and arrows of circumstance. It means you have a strong mind and that you are capable of rebounding in the face of adversity. Means are transient. A joyful and flexible mind is a strong mind, and it survives market crashes, layoffs, and crisis. Secondly, wouldn’t the type of person you are looking for as a partner be excited (and actually turned on) by the fact that you have this incredible goal and that you are fully committed to achieving it? How many people actually have the stones to do what you’re doing? Maybe you’ve already said this somewhere else, but I suspect that you began the pursuit of this audacious goal because you wanted it to change you. Perhaps you wanted to quit being owned by your possessions, your education, your habits, or your past. Yet you seem to still have some serious doubts about what you’re worth without these things. Dating is not something you have to put off for later. Firstly, later never comes. Secondly, if you are pursuing this goal because you are seeking some kind of deeper transformation, then there will never be a going back. I want to tell you to take this opportunity to use the same flexibility you’re applying to getting out of debt, the same flexibility that has pushed you outside of your boundaries in so many other areas of your life right now, to reconsider your views on dating. I remember that I was 27 when I got out of my first serious relationship. I’d been in it for almost 7 years and it ended in a very ugly and dramatic fashion. I was broke, I was an emotional wreck, and I knew it would be a long hard slog to get healthy and get myself to a point where I would be relationship material again. I was shocked that I was single and I didn’t know how to do it. The question I asked was “How am I going to find someone I’m compatible with at this age? Aren’t all the good ones taken by now?” But I looked at it a little more honestly, mustered up the courage, and concluded that if I was 27, single, attractive, and awesome, then there had to be women out there in the same situation. I wasn’t going to be so arrogant as to think I was the only one out there in my situation. Because it was just that: There was hidden arrogance in thinking I was in a unique situation and that I was alone. The bottom line is that you have a special opportunity to reassess things, in accordance with your plan. There certainly are women out there who will be interested in what you have to offer. It takes no money to get to know someone, and maybe the kind of woman you’re looking for right now will be interested in the adventure of grabbing a flask of her own and going for a long walk somewhere with you because the focus is on being in the moment and finding something new. JK: very insightful comment. I couldn’t agree with you more in terms of weeding out the gold diggers. They’re only there for the good times anyway, right? I definitely want a woman who loves me for me, not for what I have or what I buy her with my money. It’s like what I just told Alex. I’m not used to doing that kind of stuff. I’m used to hitting up an awesome bar, then hitting up an awesome restaurant. The cheap stuff…I don’t konw…I just don’t want to look cheap. And I want to show the girl a really, really good time. I’m definitely insecure when it comes to dating on the cheap. A part of me has always wanted to buy a $1200 car and pick up a girl for a date in it. Just to see what would happen. It would be a ridiculously awesome social experiment. I guess what I’m doing is super scaled-back version of that. You were 27 and worried that all the good ones are taken? I’m glad you snapped yourself out of that mindset!! There are plenty of amazing women in their late 20s and early 30s! The ones in their early 20s are the ones you’ve got to watch out for! I’m in no rush to get married, and I’m 28. As long as you’re a good guy, I think you’ll be fine; I don’t think women get as hung up about as age as we guys do. Hey just wanted to say I totally agree that you don’t need to forgo a dating life just because you’re trying not to spend money. Especially if this one girl is going out of her way to make it easy for you – like suggesting coffee and bagels instead of dinner. It sounds like she likes you and would be more than willing to accommodate the money thing. If you blow her off now she probably won’t be around next year when you’re done with the debt payoff thing. I say go for it!! If that’s the reason she actually called me, then that would say a LOT about her as a person. I hope you’re right. You can definitely make a woman happy without money. Go for a bike ride or a walk. Or find some of that free live music that Austin is famous for. You have a ton of creativity. Also, you just convinced me to sign up for the Seattle marathon. I printed out the registration. GOOD MAN! Good man! November 27th?? It’s right around the corner! You can do it! Thank you for such an insightful post. I think you should apply the mind of the beginner to your ideas about dating. In your thinking about dating, you are an expert: you have certain ideas about what a woman wants from you or how to show her a good time. Erase those ideas. I think that when you date someone you should be yourself: the person you will be when she is your girlfriend. That way you can truly see if you are compatible and will be happy in the long-term. My husband and I are fundamentally best friends. I think that’s the key. A lot of my friends are dating ideas of people they want to be with (not really seeing their partner beyond the persona) and are, in turn, acting like the person they want people to think they are. This is not sustainable. It is more difficult to be vulnerable and be yourself and not hide behind the formula of fancy dates and shallow experiences. You are clearly a strong and creative person. Find your likeness and grow together. I love the above comment and agree with it wholeheartedly. Love and dating shouldn’t cost money and any girl worth dating would love the adventure. On the other hand, I do think building a relationship takes time, of which you don’t have much. I would say don’t hold off dating until June, but just until you’ve figured out your second job. Once you know what that schedule will be, then you’ll know where your free time is as well. No silly. Life is a long time and at 28 you could have many meaningful relationships in your future. What I meant regarding time is that nurturing a relationship happens in your free time, which I thought you had none of. She basically does! Yes, it’s motivational stuff for sure. I just wanted to tell you how inspiring your blog is, especially this post. For the past four years I have been trying to live in the moment. I’ve been trying to forget about the past and not worry about the future. I went so far as to get a tattoo that says “Enjoy This Moment” on my left wrist so I won’t forget. I am about to graduate college with my Bachelor’s in Accounting in a few months and I have started looking for a new job to start paying off my student loans. While I don’t have as much to pay back as you did, it is still a scary thought for me but your blog is reassuring me that I can do it if I work hard and make sacrifies when necessary. Thank you for sharing your story! I am really enjoying reading your back stories, even much more than you-become-famous late ones. First of, I am not even sure you’re checking into comments that far back anymore. Secondly, I always waqs bewildered of young, handsome, good people (guys and gals) finding a doulmate. You had to reserve to dating sites blows my mind. Your ideals, from living in friend’s house to making a firm decision of ridding off debt and ways to get it done are very attractive (don’t worry, I am much older and happily married to someone you work with, so no hitting:)). Congrats on a marathon. You should run an ultra:) Love the comments from these “past” posts too, from the heart, people helping people, real deal, not all the hype as you’re done and over. May be I should ask Larry to invite you for a drink (over, not to a bar). I keep a mean Russian vodka, and we can talk about saving strategies and lifestyle inflation. Hey dude, this is excellent reading! I’m a 25 year old Australian guy with 87% of an MBA and your experience resonates on a number of levels with me (goal orientation, entrepreneurial ventures and investing wisely). I’ve just cancelled my entry in a half marathon (which will refund me $75) and will run the distance by myself in three weeks time (instead of eight weeks) without paying for the privilege of something that should be free. Run on! PS – Have you considered “Cubanizing” your blog into a $3 ebook? Keep the cash a flowin’! This is one of my fave posts in case you’re wondering why I’m rereading and commenting on an old post, so don’t make fun of me. To answer your question, “Cubanize” is a reference to Mark Cuban, owner of the Dallas Mavericks, he wrote an ebook called “How to win at the sport of business” basically about his success in the business world, in case you’re still wondering. That’s what happens when a wantrepreneur plants a seed! What’s next Joe? I’m really keen to discuss some business ideas, let me know if you’d like to connect with me and a friend from Sydney, Australia. I loved everything about this post! I really needed this. Thank you.